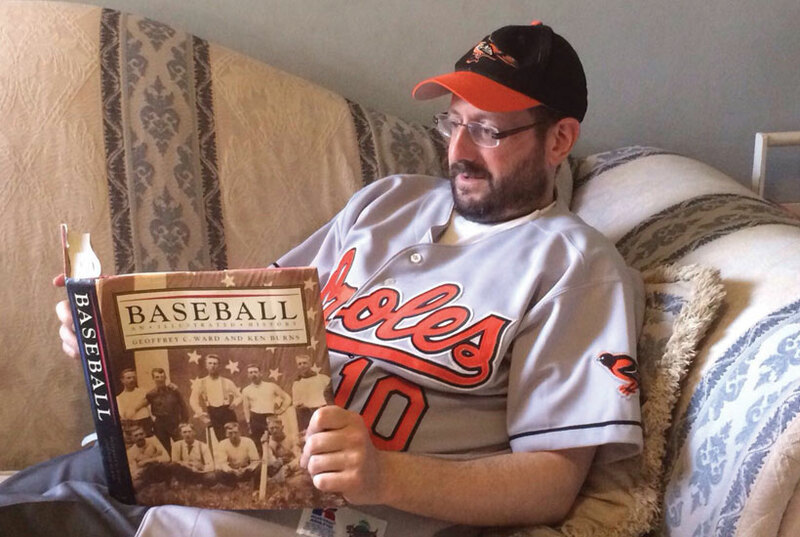 W hen American sports fans move to Israel, they often take their love of sports along for the ride. Even after becoming Israeli — fully acculturated and fully embracing the country’s interests, language, politics, and culture — there is one piece they can’t let go of: the crazy way they love American sports. 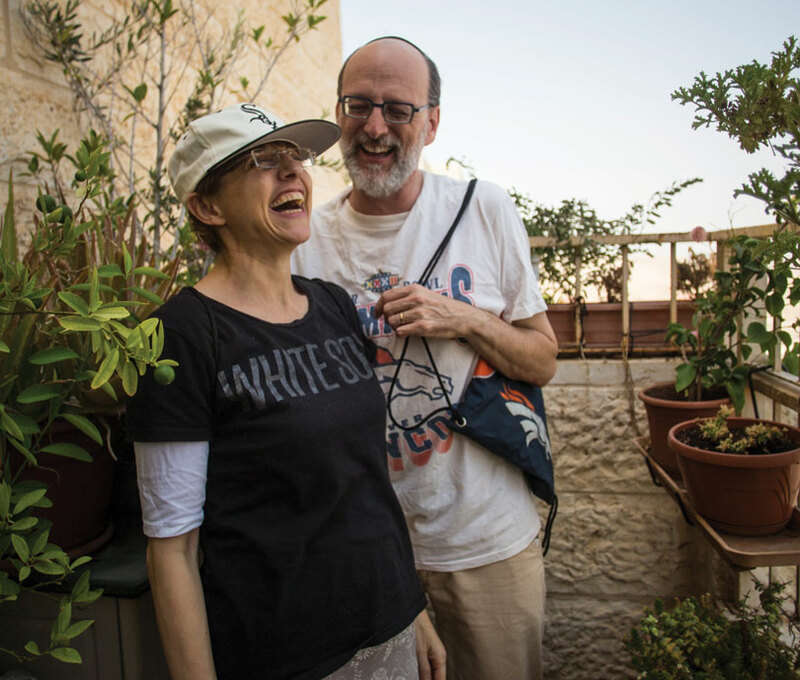 These former Americans have lived here for 20 or 30 years, have raised their children as Israelis, and have left behind their American lives — except they still passionately follow their Yankees, their Bulls, their Red Wings, or their Dolphins. American immigrant sports fans face a specific problem in Israel: there is no professional league for three of the four major U.S. sports — baseball, football, and hockey. So, while the immigrant from England can relate to Israeli soccer while still following Manchester United, what team can a sports-mad American follow? Moreover, does their infatuated devotion to the Cubs or Cowboys interfere with becoming 100 percent acculturated? No, it doesn’t, says Susie Keinon, who does not follow Israeli sports teams but is a loyal fan of her hometown Chicago White Sox. Keinon says her passion helps her bond with other Americans in Israel. “A few people in our neighborhood understand my interest, and we stop to talk about it at the makolet (local grocery store), or at shul, or on the street,” she says. Her husband, Herb, a columnist at The Jerusalem Post, says being an American sports fan is a topic of conversation, but he would not go so far as saying it helps him bond with other Americans. “Living here is bond enough,” he says. What’s difficult for the Keinons and other American sports fans is staying plugged in live — most baseball games begin at 2 A.M. in Israel, though NFL kickoffs on Sunday are at 8 P.M. and 11 P.M. Unlike in the pre-cable or pre-Internet days, when sports news from North America was difficult to access and real-time scores or play-by-play accounts were virtually unavailable, today’s sports apps make it easy to stay connected. Herb, a former season ticket holder to the Denver Broncos, watches every Broncos game via the NFL’s Game Pass app, which brings him the weekly games on demand. And that, says Lipman, is fine. But more than sharing with Shlomo his love of baseball was the naches Lipman experienced watching his son pitch for the Israeli under-21 national team. The immigrant had arrived. Loving sports may be universal. Most people have feelings about their home or national teams and athletes and the outcomes of the games they play. But Americans don’t seem able to get into Israeli sports. One reason is their unfamiliarity with soccer, Israel’s prime sport. Americans didn’t grow up with it, it’s not second-nature, and many don’t know the rules. They are also unfamiliar with how sports leagues are played in the rest of the world, including Israel. Teams participate in multiple leagues or competitions simultaneously, such as the domestic league, a state cup tournament, and a European competition. 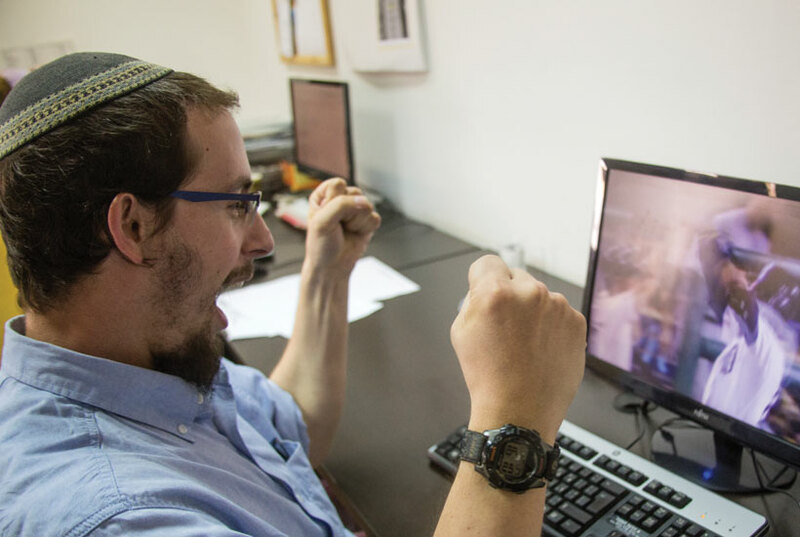 For religious Jews, there’s the issue of games being played on Shabbat. Baseball is an everyday sport, so missing a night game on Friday or a day game on Saturday is not crucial to following a sport in which teams play 162 games a season. The NFL for the most part plays on Sundays, so that is easy to follow. In Israel, most soccer games are scheduled for Shabbat, so religious fans cannot follow the games in real time. There are also the different rhythms of the seasons to which immigrants are unaccustomed: soccer and basketball schedules here overlap almost completely, while football and baseball cross only two months of the year. Then there’s politics: rivalries in Israel are shaded with biases remaining from the days when clubs formed in pre-state Palestine were offshoots of political movements. Sports teams named Beitar were once closely affiliated with nationalist right-wing Herut/Likud; Hapoel with Socialist left-wing Mapai/Labor. Hapoel wears red, Beitar yellow. While identification with party has narrowed, the teams are still marked, at least to some extent, by their original cultural, political, social, and ethnic ideologies. Subsequently, rooting sentiments are different from what fans are used to in America, where loyalty is based by and large on geography — most sports fans in Pittsburgh or Cleveland like their town’s team. Some immigrants are also turned off by the nature of the sports experience in Israel. The comportment at stadiums is more akin to the rowdy, male-centric atmosphere of European sports than the more family-oriented atmosphere in North America. Susie Keinon concurs. “I wish there was better sportsmanlike conduct, specifically after a ‘bad’ call, or losing a game,” she says. As for fans of professional basketball, a sport played in Israel and familiar to the American-born sports enthusiast, it’s not the same. From a sporting perspective, and with all due respect, the brand of game displayed here is not NBA-caliber basketball. It’s what an Israeli might call zoog bet — second-level quality (though certainly on a given night a top tier Israeli team could beat an NBA team, and has). All sports offer fans an escape, a pleasant diversion, and that is no different for American sports fans living in Israel. But for immigrants specifically, that diversion can trigger emotions that evoke a blissful time in another country. It’s a place they don’t mind revisiting. Some immigrants go completely the other way — the pride they feel being Israeli encompasses sports as much as anything else. “What sense does it make to get involved in every other aspect of Israeli life except sports, when I am an avid sports fan,” says Brian Freeman, a journalist, whose credentials as a passionate sports fan rooting for his native Cincinnati’s Big Red Machine are indisputable. The problem, says Freeman, is not that someone follows sports from the old country, but that it’s done to the exclusion of Israel. “Sports is a part of the fabric of Israeli society,” he says. “The triumphs and heartbreaks of Israeli sports teams, or individuals in the Olympics, are just as strong as they are in the U.S., with its own history of failure, heartache, and thrill of victory that helps define Israeli culture. Anyone already following sports who doesn’t connect to Israeli sports is missing out on an important element of Israeli culture and cultural references — ‘We are on the map!’ being the most blatant, but by no means only example,” he said, referencing Tal Brody’s famous quip after his Maccabi Tel Aviv team won the 1977 European Cup Basketball Championship. Sundays off to be able to watch sports all day, but remains a devoted fan of the Yankees and Cubs. UNLESS OTHERWISE NOTED, ALL PHOTOGRAPHS BY SARAH LEVI.